Just ask any Tales fan what the best game in the long running RPG series is, and most of the time, they will tell you that it is Tales of Vesperia. The game, however, has sadly long been inaccessible to a lot of RPG fans. It launched on Xbox 360 ten years ago, but got no digital release. The PS3 port was never released in the west. The game was never remastered, nor made compatible with the Xbox One’s backward compatible functionality. 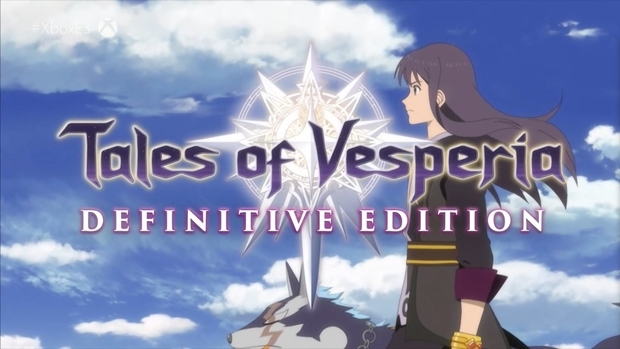 However, the upcoming Tales of Vesperia: Definitive Edition, announced at Xbox’s E3 stage last month, and releasing later this year, should change that, when it comes out for Xbox One, PS4, Nintendo Switch, and PC- so, yes, now everyone gets to play it. At the Anime Expo, Bandai Namco shared a brand new trailer for the remaster, tugging at everyone’s nostalgic heartstrings with the choice of the story scenes they chose to show, as well as with the sweeping and orchestral music. You can check out this trailer for yourself below. Tales of Vesperia: Definitive Edition is out this Winter for PS4, Xbox One, Nintendo Switch, and PC.